Brain Impairment is the official journal of the Australasian Society for the Study of Brain Impairment (ASSBI). It is a peer-reviewed journal that reflects the multidisciplinary nature of ASSBI. Online access for ASSBI members is part of the membership package. Clarivate have just released the 2017 Impact Factors for indexed journals, the 2017 Impact Factor for Brain Impairment is 0.977 this is an 63% increase on the previous IF. Our congratulations go to our co-editors Professors Jenny Fleming and Grahame Simpson. The journal addresses topics related to the aetiology, epidemiology, treatment and outcomes of brain impairment with a particular focus on the implications for functional status, participation, rehabilitation and quality of life. Disciplines reflect a broad multidisciplinary scope and include neuroscience, neurology, neuropsychology, psychiatry, clinical psychology, occupational therapy, physiotherapy, speech pathology, social work, and nursing. Submissions are welcome across the full range of conditions that affect brain function (stroke, tumour, progressive neurological illnesses, dementia, traumatic brain injury, epilepsy, etc.) throughout the lifespan. The journal publishes Original Articles, Reviews, Brief Reports, Clinical Practice:Current Opinion and Research Protocols. In addition, the journal publishes the abstracts from the annual ASSBI international scientific conference. In 2017, the journal launched the Douglas and Tate prize, an annual award for the best research article published in Brain Impairment in the previous 12 months which is supported by a cash prize from CUP. 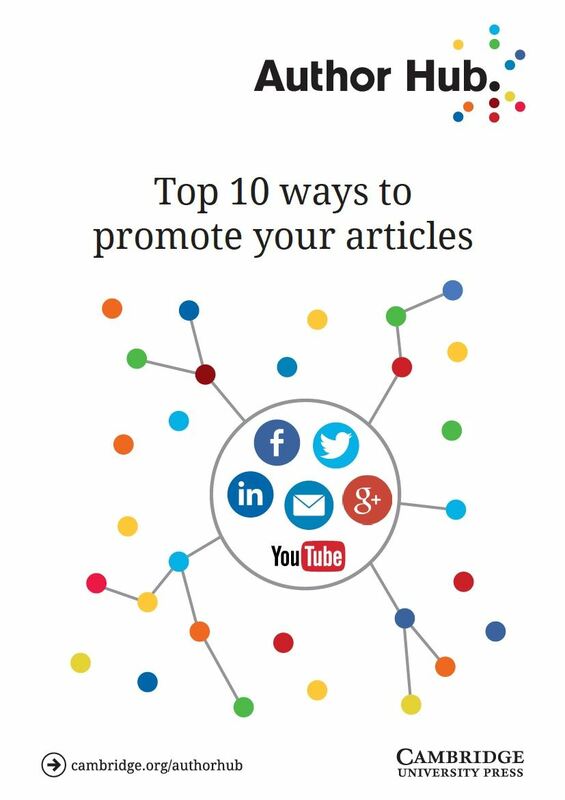 Top 10 ways to promote your article.